Earlier today, actress Mercy Aigbe wished herself a happy Father’s Day and shaded those “sperm donors” claiming to be fathers yet contribute nothing to the lives of their kids. 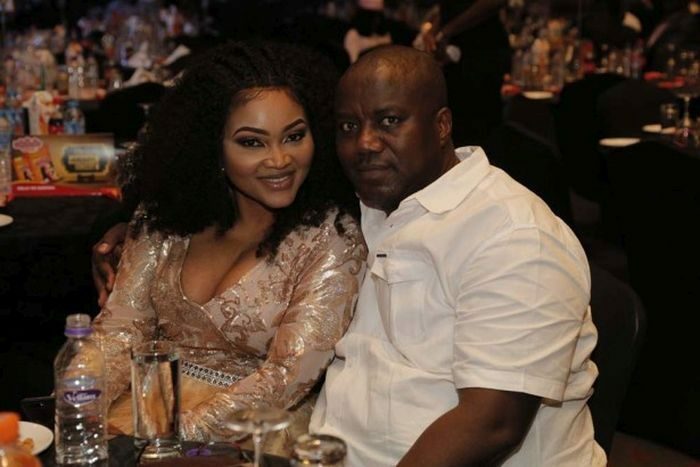 She didn’t call names and neither did she indicate if she was referring to her first baby daddy or Lanre Gentry, her estranged husband, but Lanre has decided to clear the air. In an Instagram post, he wished himself a happy Fathers’ Day and listed all the things he does for his son with Mercy and also for Mercy’s daughter who isn’t his biological child.